At Saratoga Spine more than 85% of our patients do not need surgery to treat their condition. However, there are times when surgery is appropriate. In our last article we talked about 5 celebrities that you would never know had gone through back surgery. Well these celebrities take it up one notch. Not only do that live productive lives after back or neck surgery but they’re physically active and strong enough to play sports, professionally…and most of them have gone on to award winning careers as athletes! Peyton Manning is a retired NFL quarterback. He played in a total of 17 seasons for the Indianapolis Colts and the Denver Broncos. After playing his first 13 seasons for the Colts he was forced to sit out a season due to a neck injury. His injury, which isn’t uncommon in professional athletes, was a herniated cervical disc. The disc was putting pressure on the spinal cord in the neck and causing him to have pain in his throwing arm. After a year out the Colts dropped Peyton but he went on to play several more years with the Broncos. In total, Peyton had at least 4 surgeries on his neck. The first few surgeries treated his pain but pain re-emerged. His doctors then performed a cervical fusion to fuse the two neck vertebrae together. 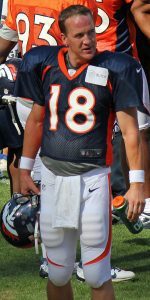 Peyton went on to play more football professionally after his final procedure. The famous golf player Tiger Woods has had at least 4 back surgeries! A few have been microdiscectomies and one a spinal fusion. By 2017 the spinal canal in Wood’s lower back severely narrowed, resulting in sciatica and severe pain. In April 2017 the doctors performed a minimally invasive spinal fusion at L5/S1. Less than a year later he was back to swinging a golf club. Professional golfers can swing a club well over 100mph and Tiger’s swings the following April led him to take 2nd in a tournament in Florida! Tony suffered from a herniated disc in his lower back. In 2013 he underwent surgery called microdiscectomy. During this procedure only a small part of the disc is removed in order to relieve pressure on the nerve. 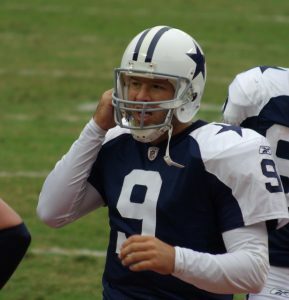 Within a few months Romo was throwing the football to a win in the 2013 season opener! For many, spinal stenosis can be managed with non-surgical options. However, in David’s case, he had exhausted all non-surgical options. After doing physical therapy, having spinal injections and taking anti-inflammatories, he was not free of pain or able to play baseball. 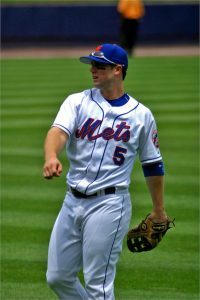 David Wright underwent a laminotomy procedure in late 2017 to treat the stenosis. Just a few months later David has been participating in baseball practices and is “progressing nicely” according to the Mets manager, Mickey Callaway. 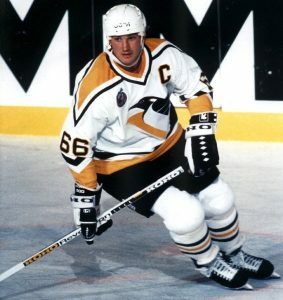 Mario Lemieux is one of the most famous hockey players of all time. He played for 17 seasons with the Pittsburgh Penguins helping the team win the Stanley Cup championship in 2 of those seasons. In 1990 Lemieux had surgery for a herniated disc. The next season he led his team to a Stanley Cup victory. Lemieux went on to play for another decade of record breaking, award winning hockey. So, while most patients don’t require surgery to treat their conditions, some do. If you’re one of the minority who do need back surgery, know that it can be an effective treatment for your neck or back condition. Now we can’t promise you’ll be a professional athlete after surgery we can tell you that our doctors at Saratoga Spine will make every effort to help you to a path of full recovery.